There’s a remote, pre-authentication, network-accessible code execution vulnerability in Microsoft’s implementation of the RDP protocol. Microsoft is warning that there’s a remote, pre-authentication, network-accessible code execution vulnerability in its implementation of the RDP protocol. A remote code execution vulnerability exists in the way that the Remote Desktop Protocol accesses an object in memory that has been improperly initialized or has been deleted. An attacker who successfully exploited this vulnerability could run abitrary code on the target system. An attacker could then install programs; view,change, or delete data; or create new accounts with full user rights. The vulnerability, which affects all versions of Windows, was privately reported to Microsoft’s via the ZDI vulnerability broker service and the company said it was not yet aware of any attacks in the wild. 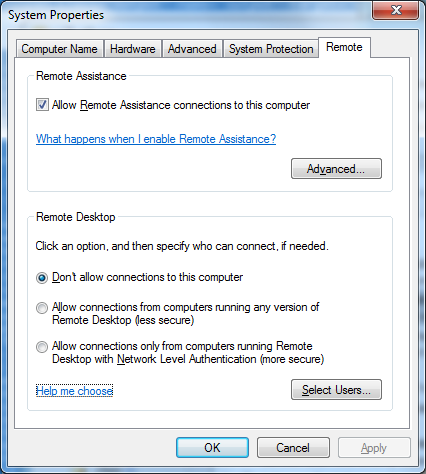 Although RDP is disabled by default, Microsoft is urging all Window users to treat this issue with the utmost priority. “Due to the attractiveness of this vulnerability to attackers, we anticipate that an exploit for code execution will be developed in the next 30 days,” Microsoft said.